Do you want to know the differences of Britax Pioneer G1.1 and Britax Parkway SGL G1.1? I’m quite sure that you are looking for the right booster car seat for your child. Britax Pioneer G1.1. and Parkway SGL G1.1 are two car seat models introduced by Britax. We can find that they have few similarities while there are also several differences between them. Which of them is the one that you should choose? In this review We will talk about the differences of those two car seats so that We can answer that question accordingly. 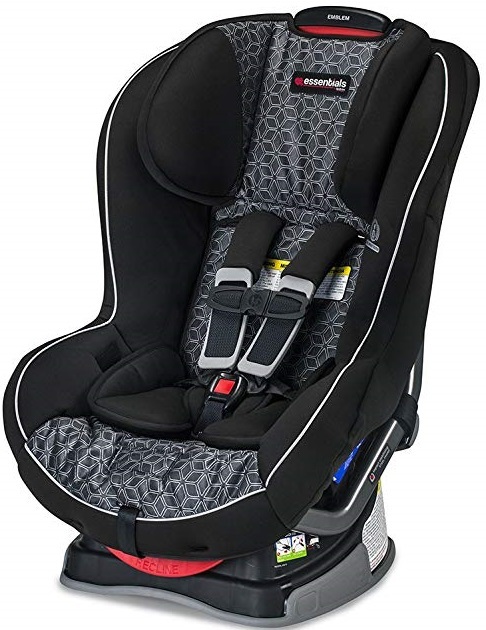 Britax Pioneer G1.1 comes as 2-in-1 harness booster car seat. It can be used as forward-facing harness car seat for 25-70 pounds toddler, then converted into belt-positioning booster car seat for 40-110 lbs kid. Britax Pioneer G1.1 comes with SafeCell Impact Protection that combined with 2-layers of Side impact protection. SafeCell impact protection comes as combination of impact-absorbing base, impact-stabilizing steel frame and V-shaped tether. While 2-layers of side impact protection consist of deep energy-absorbing shell and quick-adjust head protection. We can also find No-Rethread 9-Positions harness and quick-adjust 2-position buckles that keep your child comfortable as they grow. Britax Pioneer G1.1 also comes with multiple recline positions that easily adjust to your child’s comfort positions. It’s also easy to install Britax Pioneer G1.1 as it comes with easy-on/off lower anchor. We can also find dual integrated cup holder on both sides of Britax Pioneer G1.1 to help you access your child reach their favorite drink during the trip. It’s also easy to remove the cover of Britax Pioneer G1.1 for cleaning. 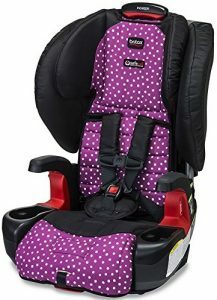 Britax Parkway SGL G1.1 is booster car seat that intended to be used for 40-120 pounds kids. It can be used as both high-back belt positioning booster or backless booster since the back part is easily removable. Britax Parkway SGL G1.1 comes with 2-layers of side impact protection that formed by deep foam-lined shell and quick-adjust head protection. It’s also completed with SafeCell impact-absorbing base that compresses to reduce the force of collision. To improve the safety level of this car seat, We can also find Isoflex lower connection system that can stabilize this booster car seat during the crash, while also can keep the booster in place although It’s unoccupied. We can also find easy-adjust headrest that make your child comfortable while also secure as they grow. Britax Parkway SGL G1.1 also comes with SecureGuard Clip that can ensure that the vehicle’s seat belt is properly positioned on your child’s hip. Britax Parkway SGL G1.1 also comes with a pair of retractable cup holders on both sides to give your child easy access to their favorite drinks and snacks. 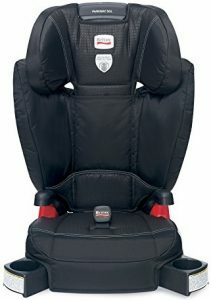 Britax Parkway SGL G1.1 also comes with removable car seat cover so that you can easily clean it when It becomes dirty. The table below will tells us the key specs and features of Britax Pioneer G1.1 and Britax Parkway SGL G1.1. We need to know their key specs and features before We can talk more about their differences. Let’s take a look at the specs and features of Pioneer G1.1 and Parkway SGL G1.1 together. From the table above, We can find that there are few differences between Britax Pionner G1.1 and Britax Parkway SGL G1.1. Let’s talk more about those differences together. Britax Pioneer G1.1 comes as harness booster car seat, while Britax Parkway SGL G1.1 comes as booster car seat. While We can use both of those two car seats as High-Back belt positioning booster car seat. 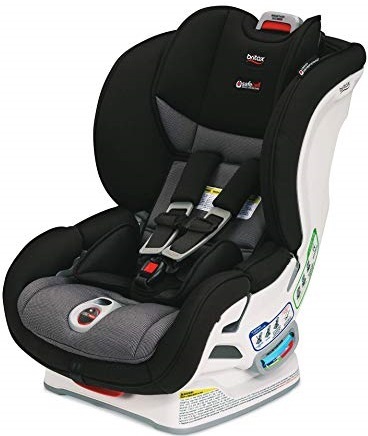 While We can additionally use Britax Pioneer G1.1 as Forward-Facing harness car seat and use Britax Parkway SGL G1.1 as backless booster when the child is no longer comfortable with high-back booster mode. We can start use Britax Pioneer G1.1 when your child is already 25 lbs, while you can user Britax Parkway SGL G1.1 until your child is 120 lbs. So It’s easy to say that We can use Britax Pioneer G1.1 earlier, while Britax Parkway SGL G1.1 can be used longer as booster car seats. SafeCell is installed on both of Britax Pioneer G1.1 and Britax Parkway SGL G1.1. But Britax Pioneer G1.1 comes with more complete features. We can additional find impact-stabilizing steel frame and V-shaped tether in Britax Pioneer G1.1, while both of Pioneer G1.1 and Parkway SGL G1.1 come with impact-absorbing base. Britax Pioneer G1.1 comes with multiple recline positions, while It’s also completed with 9-positions adjustable no rethread harness. Britax Parkway SGL G1.1 that originally intended as only booster car seat doesn’t come with multiple recline positions while It also doesn’t come with harness. Both of Britax Pioneer G1.1 and Britax Parkway SGL G1.1 come with latch system. Britax Pioneer comes with Easy-on/off lower LATCH connectors while Britax Parkway SGL comes with Isoflex Latch connection system. Isoflex is able to stabilize the booster in a crash while also can secure the car seat even when It’s unoccupied. Britax Pioneer G1.1 is offered at higher price than Britax Parkway SGL G1.1 that intended as belt positioning booster only. How much is their price difference? We need to check the price of Britax Pioneer G1.1 and Britax Parkway SGL G1.1 before we can find their latest price difference since their price often change from time to time. Which of Them is the One that You Should Choose? Share the post "Britax Pioneer G1.1 vs Parkway SGL G1.1 Review"
We should mention Britax Marathon ClickTight and Britax Emblem as two..